On a recent episode of the NewsHour with Jim Lehrer, John McWhorter illustrated, once again, how curiously complex (a sometimes contradictory) his perspectives on race really are. Many have called McWhorter a Black conservative, but that is not quite an accurate assessment. In fact, McWhorter’s views on race and racism seem largely inspired by his own experience as a highly-educated Black professional from a middle-class background. For McWhorter, as for many other Black people from similar backgrounds (myself included), racism is a very real part of life — sometimes difficult, somtimes disappointing, sometimes humiliating; but it has never prohibited him from achieving any of his goals. McWhorter acknowledges the continued existence of racism. But he firmly believes that its impact has been alleviated significantly enough that it is no longer a major obstacle (certain not the major obstacle) to Black achievement and upward mobility. He express exactly this perspective in Losing the Race: Self-Sabotage in Black America. Our perceptions about the power of racism in our lives are, according to McWhorter, a greater obstacle to Black success than racism itself. GWEN IFILL: How about that, John McWhorter? Is there a subliminal message here? Or is Matt Welch right, that maybe we’re overstating what the source of people’s discontent is? JOHN MCWHORTER, senior fellow, Manhattan Institute: Well, it’s a difficult issue, and that’s an inherent part of this, that we really can’t know where to draw the line, because we don’t have the psychological tools yet. But I personally feel that, for example, Joe Wilson would not have yelled the way he did if the president in an alternate universe had become, say, John Edwards. It’s just a — but it’s a gut feeling. We can’t know. And that’s why I feel that, with all of this — let’s say that racism was a part of it; it’s my gut feeling that it is — we’re at the point where the question is how significant it is. Whatever role racism is playing in all of these criticisms, it’s not going to chase the man out of office. It’s not going to make much of a difference in whether he does or doesn’t get re-elected. And the racism itself is not going to derail health care or anything else. So my question is not whether racism is involved — I suspect that it is — but exactly what are we talking about and why are we elevating it as if there’s something alarmist about it, when maybe it’s just a rather mundane fact? GWEN IFILL: So you’re suggesting, John, that there — even if this is racism, even if it’s the worst possible interpretation in people’s actions, it doesn’t really matter that much? JOHN MCWHORTER: You know, frankly, yeah. I think that there is racism that does matter, but when we’re talking about these kinds of attitudes, these tinctures of feeling that we can’t quite even get a handle on, it seems to me we outlawed legalized discrimination and segregation, and socially we have proscribed open bigotry, and so it’s practically equivalent to pedophilia, and that is fine. But are we ever going to reach a point when, as human beings, we can eliminate all race-based bias completely? I don’t see it. I don’t know how that would happen. And so what we’re seeing is a rather unfortunate kind of breach of civility. I’m not sure how perfect we can get, and we have so many other things to worry about. — excerpted from the Online NewsHour transcript for September 16, 2009, at PBS.org. McWhorter has expressed similar opinions on other news programs, most notably the now-canceled News and Notes radio program on NPR. On one of the episodes of the weekly News and Notes roundtable, McWhorter suggested that African Americans would have to accept that it is quite possible that white people gone about as far as they are able to go in terms of overcoming prejudice, and that things are not even close to perfect, but they are about as good as they are ever going to get, despite the continued existence of individual and institutional racism. Activist law professor and and fiction writer Derrick Bell shares McWhorter’s belief that racism is a permanent part of U.S. culture; and yet, unlike McWhorter, he still advocates for the continued struggle against its manifestations. Bell realizes that the likely permanence of racism makes it no less dangerous or problematic. 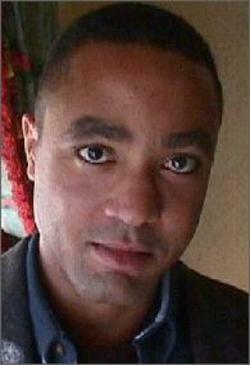 It seems that McWhorter has forgotten (or is unaware) that although racism has not impeded him from reaching his academic and employment goals, racism still negatively impacts many lives, from the people of color who are victims of wrongful incarceration, mortgage redlining, and race-based violence to those white Americans whose failure (or incapacity) to resist the temptation of bigotry leaves them fraught with fear and hatred and distrust.